Attitude® A large selection of professional grade nail lacquer with fashion driven colours, formulation enriched with natural plant extracts, keeping nails sumptuously conditioned and lovingly nourished. This section contains IBD Just Gel, Cuccio Veneer, Cuccio Matchmakers, Star Nails Gel Touch & Gel Polish Accessories. BEST SELLING Brand IBD's Just Gel Polish is a truly unique 100% pure gel in the form of a polish. The pure gel formula is both LED and UV curable, easy to apply and gives a high-gloss protective shield for natural nails. Please note that the colour images shown are provided by the manufacturers and are as close as possible to the actual but the colour may differ according to your monitor setting. IBD Advanced Wear Nail Lacquer, Misa, Toma, Seche Vite & Seche Range, The EDGE, Sinful, Spa Ritual, INM Out The Door, Northern Lights, Looks Wet and Orly. Plus other favourite miscellaneous nail polishes and treatments. Check out the NEW Tapestry Autumn Collection 2018! 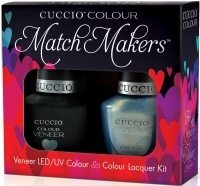 Cuccio Colour lacquer is an industry first with patented, enhanced Triple-Pigmented Technology for a true color application in one coat and perfect application in two coats! The cushion-based formula fills in nail imperfections, self-levels and quickly dries between coats. Custom made bottle, brush and cap, using DuPont filament brush hair for professional application. 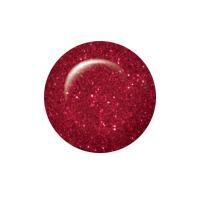 Cuccio Colour is an ultra long-lasting, high shine polish with incredible wearablity. 100% toluene, and DBP free! NEW Lower Price £9.99 Per Pack Each pack contains a veneer & matching colour polish. Star Nails, Attitude, Poshe, Seche, NSI Airshield, & Thermoshield, Toma, INM Out The Door, Total Eclipse and Northern Lights - Top Coats, Base Coats, Polish Thinner, Rapid Dry, Colour Corrector Pens and MORE! View - Nail Strengtheners and Nail Treatment products - Duri Rejuvacote "The Nail Doctor," Cuccio Naturale Forte Nail Strengthener, Millionails Natural Nail Strengthener and Billionails Nail Treatment Maintenance, Dr G's Clear Nail, Orly Fungus MD, Gena Healthy Hoof, Seche First Aid Nail Repair, Poshe Anti-Microbial Base Coat and Nail Bandages from Alida. View Nail Varnish Remover (Nail Polish Remover / Nail Lacquer Remover) From Star Nails available in 100ml, 250ml, 480ml or 5 litre economy purchase for busy salons. From The EDGE 500ml or 5 litre - Salon System in 250ml and 500ml sizes or Strictly Professional and Hive of Beauty (Solutions) both available in the popular 4 litre size. Duri Nail Polishes offer contemporary shades of spa quality polish and a selection of nail treatments, including Rejuvacote and Brush N Go. See the huge range of fantastic and varied colours like Voodoo, Toxic, Venom and Sting to the more subtle Baby Bottom or Morning Lavender.